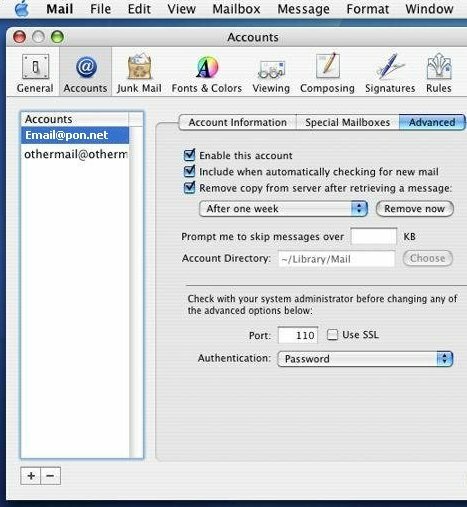 Welcome to the Macintosh OSX Mail v 10.3 Setup Page. 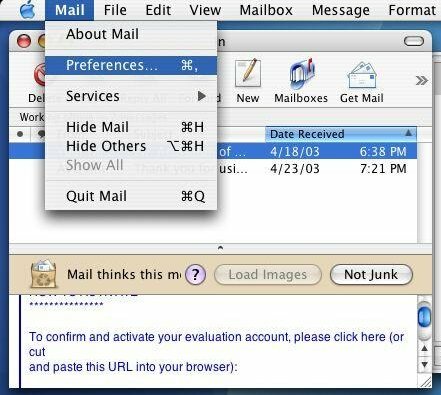 To add new e-mail account settings in Mail, follow these steps: On the Toolbar, click Mail and select Preferences from the menu. Click the Accounts button at the top to see the screen as shown below. Your existing accounts will be listed on the left hand side. Description = enter any name for the e-mail account. This name is what you will identify your email account by. Email Address = enter your full e-mail address. Full Name = enter your full name. 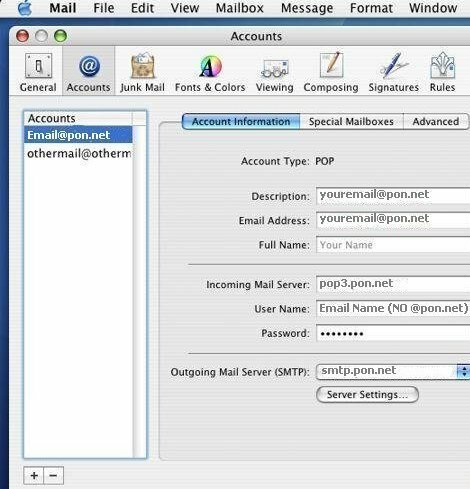 Note: You will only want to have one mail server setting listed in your list of Outgoing Mail Servers. Click the Special Mailboxes tab to see the screen above. 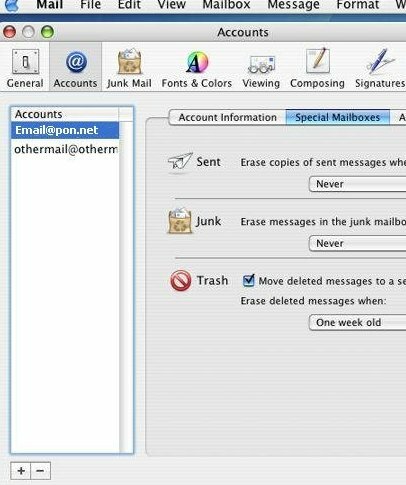 This mail programs provides the following folders: 1)Sent items, 2)Junk Mail, and 3)Trash. The most important feature on this tab is the: "Remove copy from server after retrieving a message". You should place a check in "Remove copy from server after retrieving a message". This will make sure that messages do not pile up in your account on our mail server.